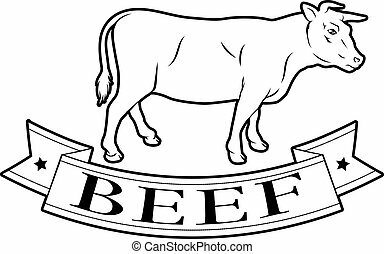 Beef food icon of a cow and banner reading beef. Beef. Food Flat Icon. Vector EPS 10.
beef delicious sausage food logo design icon. A set of food and drink icons.